The cold, sunny days have been fantastic this week and that always helps with the snapping for this project. 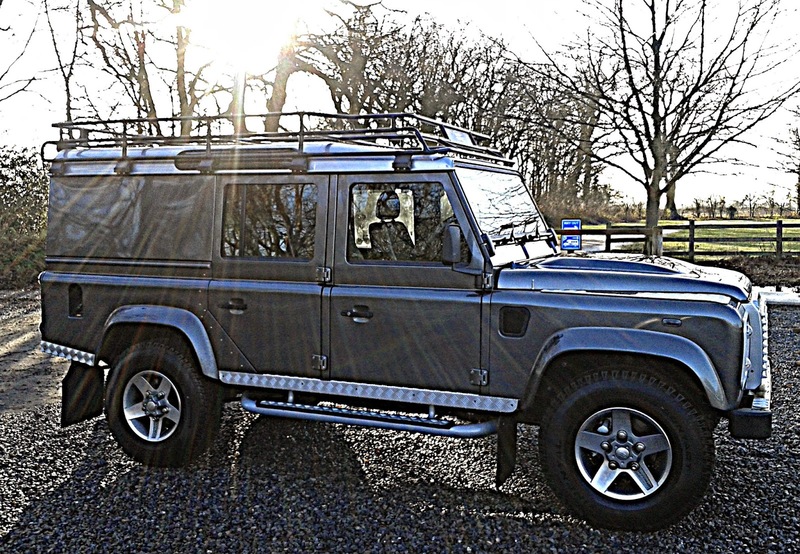 The brother in law came for a weekend flying visit in his new Landrover Defender. We went for a spin and dreamt of having a toy like it one day - it would be an arse to park on our lane though. A typical Monday full of chores which made the sunny walk home from school a good one. A beautiful walk again - this time to school. 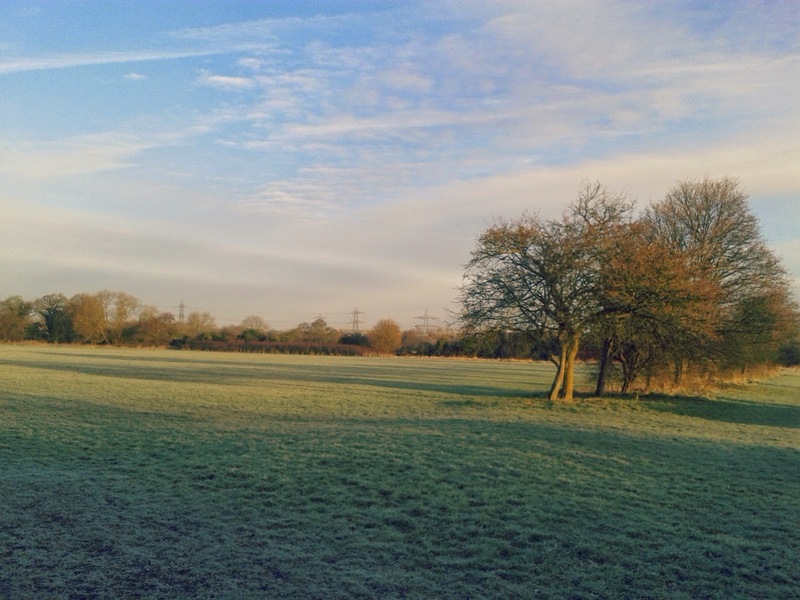 The weather was cold overnight and the carpet of frost on the field caught my eye. 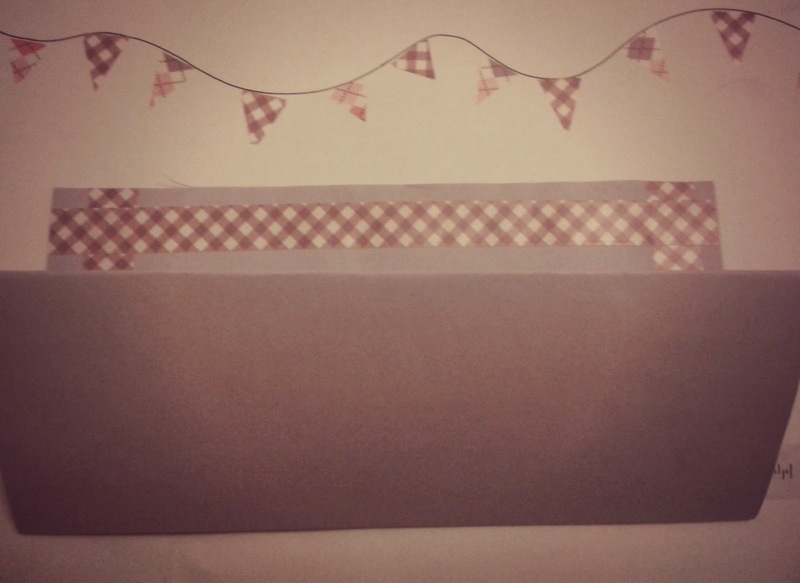 Incoming #postcircle today was a good way to cheer up my mundane hump day! 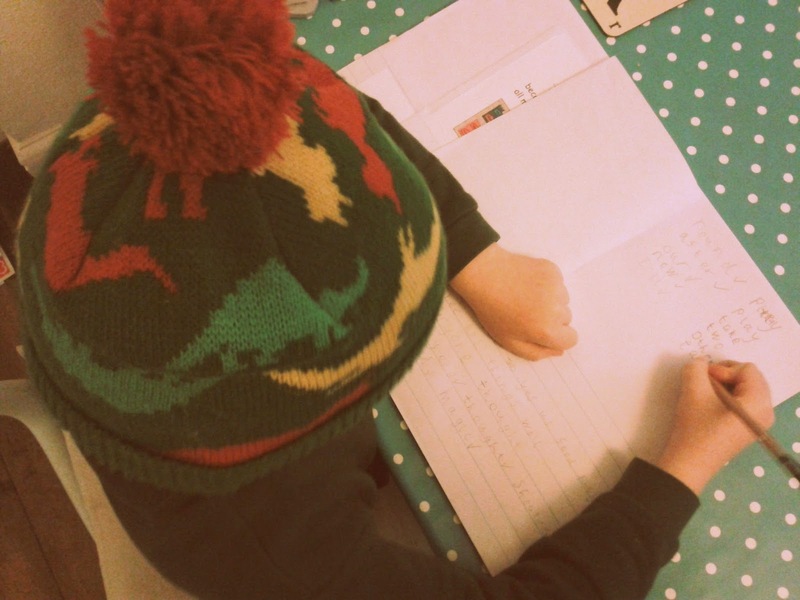 The boy has decided that his bobble hat is now indoor wear and apparently it helps him to complete his homework. A day out in the woods today with work - someone enjoyed the mud! Another lovely sunny day so we all went for a walk along the canal. 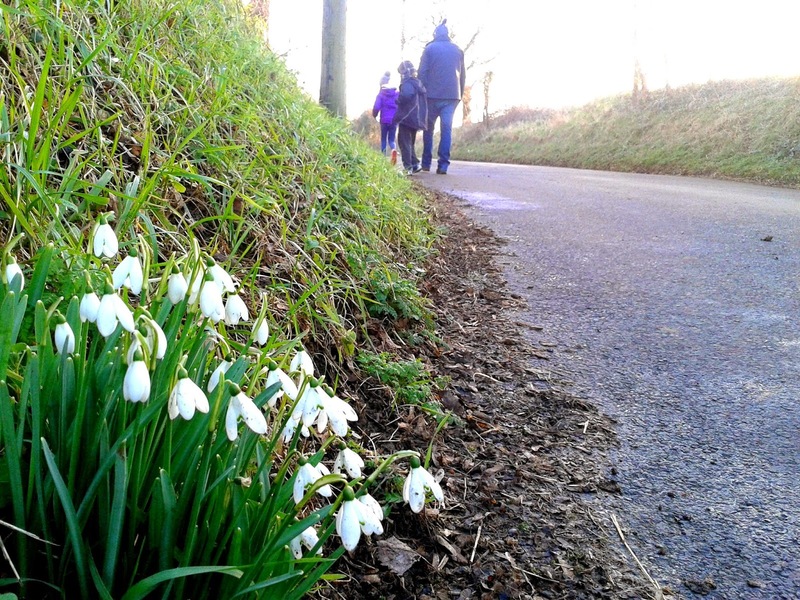 On the way back up the hill we spotted snowdrops on the verge - my first ones for 2015. Wow, I think there's a little spot of mud there lol. Beautiful photos, as ever. That is some serious mud on those hands! We haven't seen any snowdrops yet. I will have to go and find some now! OMG, look at those muddy hands! Lol! I love those snowdrops and that Land Rover looks fab! I love the angle you have taken the snowdrop picture from, I have not seen any here yet. Im with you love the cold frosty days for photographs. They are seriously muddy hands. Bob has taken to hooded tops lately so he can put his hood up indoors, apparently its too cold for him. Lovely outdoor shots this week. Those muddy hands must have taken a bit of getting clean. 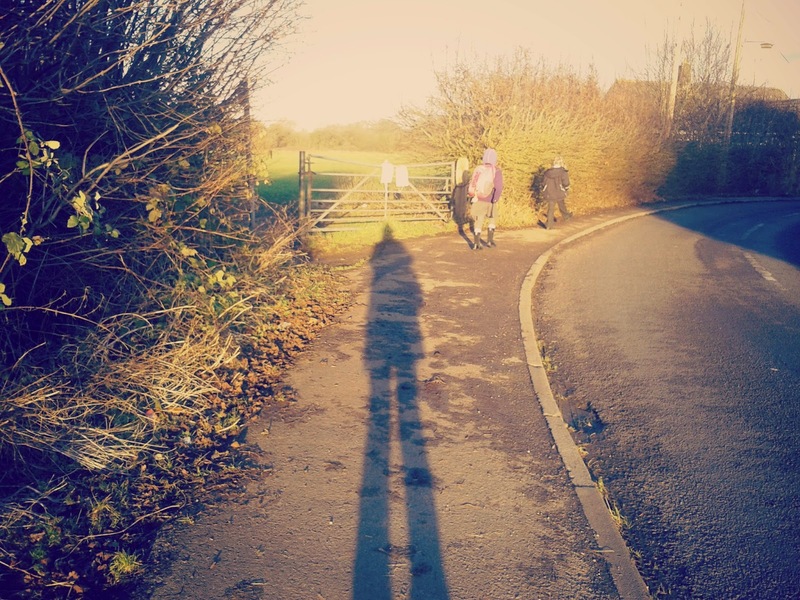 I like the second photo with the long shadow, cool post processing effect. Love the muddy hands and outdoor photos. Now that is what I call muddy hands! Love the angle of your last shot too. Nice wintery theme this week. No snowdrops here yet. Those hands are awesome, good work on getting right in there!